Commuting to Work: In 2010, a reported 73.03% of Washington State drivers drove alone to work, while 10.48% used car pools and 5.49% used public transit. The Pacific Northwest Transportation Consortium (PacTrans) is the Regional University Transportation Center (UTC) for Federal Region 10. PacTrans was established in January 2012 with an initial grant of $3.5 million from the US Department of Transportation (USDOT) as part of The Safe, Accountable, Flexible, Efficient, Transportation Equity Act: A Legacy for Users (SAFETEA-LU). This was supplemented later with extention funding of $3.4 million which equated to a total grant of $6.9 million over four years. 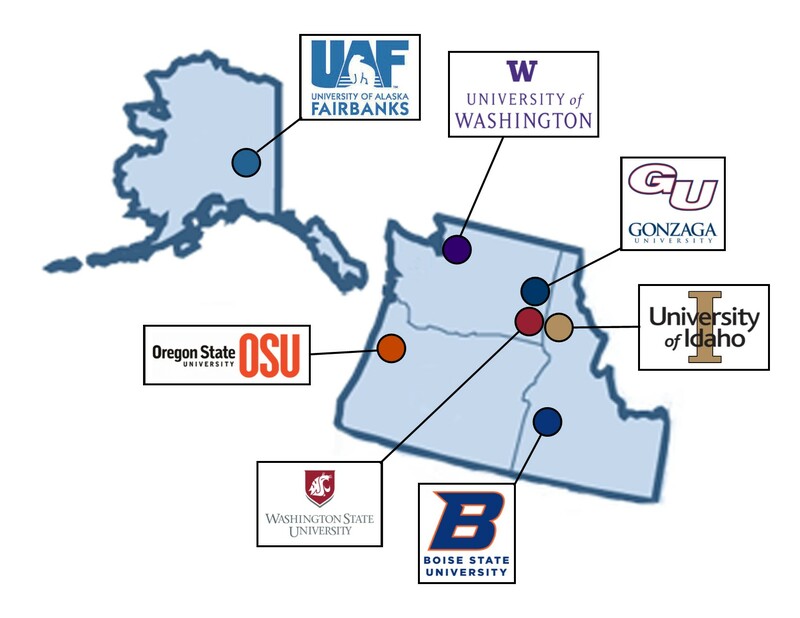 PacTrans is a coalition of transportation professionals and educators from Oregon State University (OSU), the University of Alaska, Fairbanks (UAF), University of Idaho (UI), University of Washington (UW), Washington State University (WSU), Boise State University (BSU), and Gonzaga University (GU). In January of 2014 The Moving Ahead for Progress in the 21st Century Act (MAP-21), funded PacTrans with a second grant of $5.1 million from the USDOT, which was supplemented with two additional extensions and $1.7 million and $860,000 respectively. Thus the total Center Two grant was $7.72 million for its four-year lifespan. In December of 2016 The Fixing America’s Surface Transportation Act (FAST Act), funded PacTrans with a third grant of $14.35 million from the USDOT. This 5 year grant from FY2016 through FT2020 will provide $2.75 million for FY2016, $2.85 million for both FY2017 and FY2018, and $2.95 million for both FY2019 and FY2020. The original center (Center One: SAFETEA-LU) along with all of its funded research and technology transfer was closed at the end of FY2015. Meanwhile the second center (Center Two: MAP-21) along with all of its funded research and technology transfer runs through FY2018. Mission – Visit this page to learn about our mission as the Pacific Northwest Federal Region 10 University Transportation Center. History – In this subsection, explore the history of university transportation centers (UTC) in the US and how they have been funded over the last 30 years. Operations Team – No UTC is successful without a strong operational team behind them to oversee grants, budgeting, admin, communications, etc. Here, meet the team that supports PacTrans and helps it further it mission to safe and efficient transport. Our Board – PacTrans has a stellar board consisting of consortium faculty that, with continuous thought and care, shape the evolution of the center. Meet them here. External Advisory Board – Beyond the Board, PacTrans has also created an external advisory board, made up of practitioners and experts in the field, to help make sure the center’s focus has real world practicality and utility. Transportation Labs at PacTrans Universities – There are a number of other transportation research centers and labs housed within the civil engineering departments at the five PacTrans consortium universities. Many of these labs receive PacTrans funding to conduct their research. This subsection will link you to them if you are interested in learning more. Students – PacTrans values nothing more that its students. In this subsection learn about all of the different ways that we invest in the future of our transportation workforce.